​Everton defender Seamus Coleman has insisted he's never pursued a move away from the club despite interest from teams across Europe. The 30-year-old joined the Toffees in 2009 for just £60,000 from Sligo Rovers, and has since made over 250 appearances for the club, with his performances at Goodison Park attracting reported interest from Manchester United and Bayern Munich during his career. 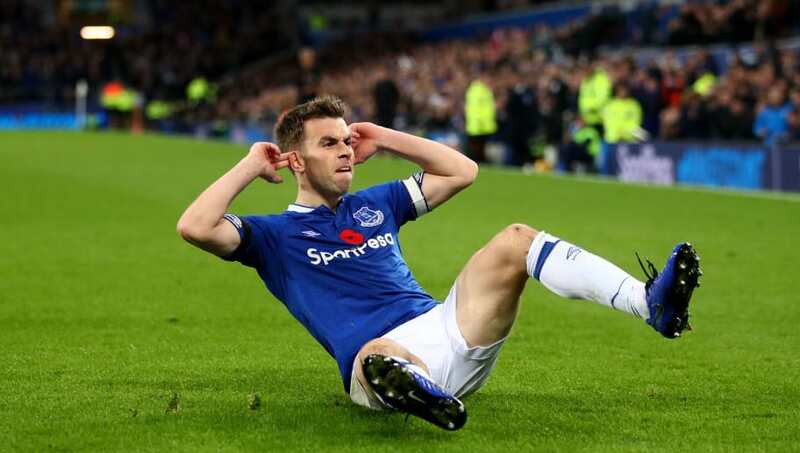 Despite the opportunity to play for a side that regularly competes for honours, ​Coleman admitted his head was never turned, instead opting to stay with a club that had been good to him in ​Everton. Speaking to ​The Times, Coleman said: "There was interest from numerous teams but I never looked for a way out. That’s me sitting here telling you the truth. "Whatever went on between clubs went on, but I’ve always been happy at Everton. You can look back and people can say you need to push on, you need to win things, you need to go to the top. But Everton brought me from Sligo, and they’ve been good to me." The full-back, who is preparing to face Northern Ireland and Denmark over the international break with the Republic of Ireland, also played down recent criticism he's received for his performances with Everton, and revealed his aspiration of winning a trophy with the club at some point in his career. He added: "Loyalty is not really a thing any more as such, but for me I feel good there, I feel they have done a lot for me. I know football: maybe five or ten bad appearances, and fans, the media, they’ll be wanting other players in. "But, for me, Everton is where I want to be. And, as I keep saying, to win one cup there would mean more to me than winning it somewhere else."